TA-DAAAAH! 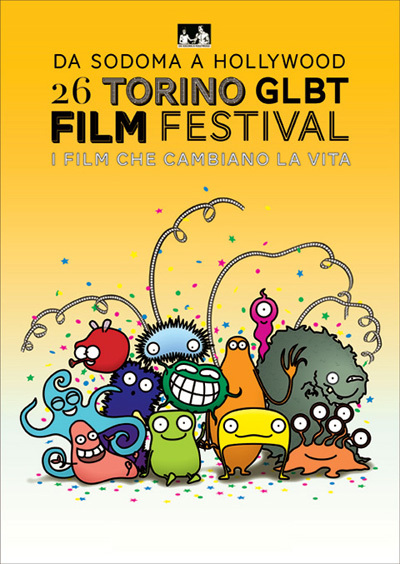 I can finally reveal the design of the image I created for this year’s Turin GLBT Film Festival, which has just been officially launched. I wanted to work on the concept of the GLBT rainbow in a lateral way and express the idea of diversity, so I created a series of anthropomorphic blobs in all sorts of colours, also conveying the feel of “happening” that a lively event such as a film festival has. I am now starting work on an animated trailer for the festival, so there will be more to show you soon.